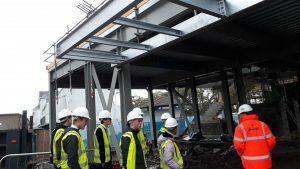 Our Year 1 Civil Engineering Foundation Apprenticeship students recently went on their first site visit of the year. This was the site of the new Hampton by Hilton hotel at Hamilton Race Course, being built by Robertson Construction. 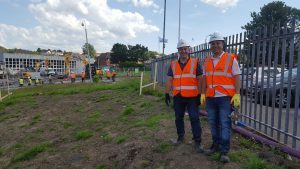 GKC Civil Engineering has built up a partnership with Robertson over the years and this is our 2nd visit this term. 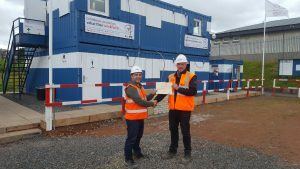 In fact, one of the Year 2 FA students actually has a work placement working for Robertson Construction at this site this term. A huge ‘Welcome’ to all our new and returning students, who will start their courses very soon. This is our first Blog update of the new academic year, this will be a weekly update to let you all know about events, activities and generally just what has been going on in the college. We have a good start for you this week. 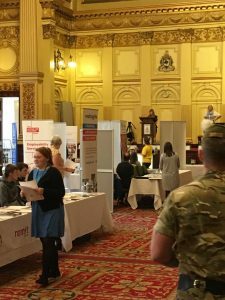 Gary Sharp and Fiona Welsh recently attended Glasgow City Council and Partners annual “Secure Your Future” event on Thursday 10 August in Glasgow City Chambers. The purpose of this event was to help young people consider their options, receive careers advice and much more. This event was targeted to all Glasgow school and college leavers on receipt of their exam results (issue date 8 August) to offer them advice and guidance on their options. This unique post exam result event also targeted other young people who have previously left school/college or training and have failed to secure a positive destination. 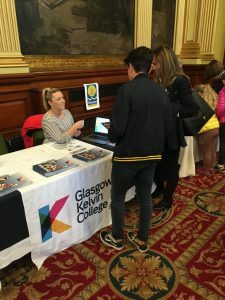 The event was offered in partnership with Development and Regeneration Services, Education Services, Skills Development Scotland and Jobs & Business Glasgow and offered young people advice and support to help them maximise their potential. 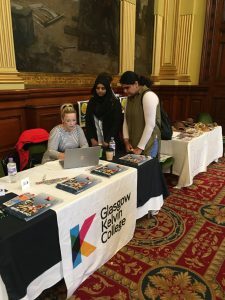 Representatives from the college’s Advice, Guidance & Learner Support team were in attendance to promote GKCs clearing opportunities and gave advice to potential learners on applying for courses. 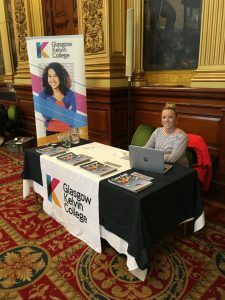 This event was well attended by talented Glasgow young people and was a great opportunity in allowing us to showcase remaining live vacancies and opportunities. The team supporting Glasgow’s Foundation Apprenticeship Consortium is among the best in the country – it’s official! The hard work of Glasgow Kelvin College which is the lead partner, Glasgow Clyde and City of Glasgow colleges has been shortlisted at this year’s prestigious Inspiring City – People Make Glasgow 2017 Awards for the efforts of the Foundation Apprenticeship Team. The awards, organised by The Herald and Glasgow Chamber of Commerce, recognise the new generation of citizens who are making a tremendous contribution to the cultural and economic climate of Glasgow. As an excellent endorsement of the benefits of partnership working, the very successful Glasgow Foundation Apprenticeship Team has been shortlisted in the Industry and Young People Innovation Award category. 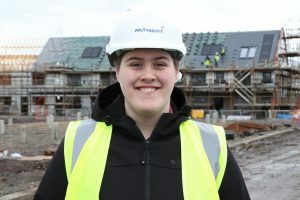 The exciting Foundation Apprenticeship Programme runs as a partnership between all three Glasgow Regional colleges (Glasgow Kelvin, Glasgow Clyde and City of Glasgow) and the three local authorities of Glasgow, East Renfrewshire and East Dunbartonshire. 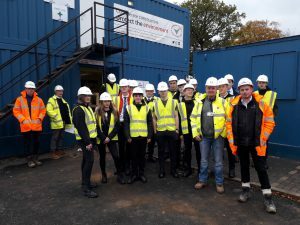 The Foundation Apprenticeship is a two-year programme aimed at senior schools pupils which provides college and workplace based learning and qualifications in a wide range of vocational skills whilst the young people are still attending school. 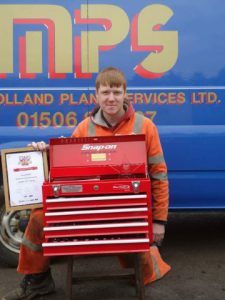 This means that when they are ready to leave school they have a wider grasp of workplace skills, a more realistic approach to their chosen skill area, improved confidence and level 3 or 4 qualifications which can propel them straight onto HNC level learning or into a formal apprenticeship. 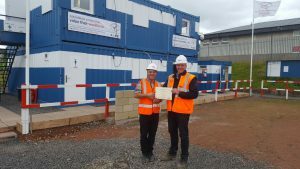 5 HND Civil Engineering students successfully completed a one week work placement with Robertson Construction during the holidays. 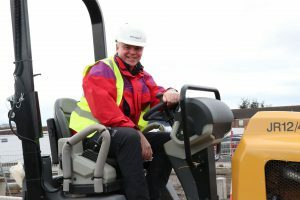 Robertson’s are appointed as main contractor to construct a new £4.95m Community Hub building in nearby Bishopbriggs. Mohamad and Seyad are proudly pictured with their attendance certificates alongside Project Manager, Owen Cherrie. 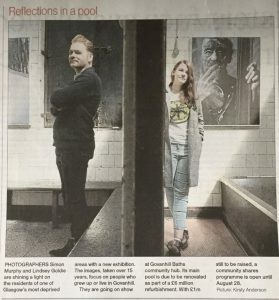 Photography lecturer, Simon Murphy, and ex Glasgow Kelvin student, Lindsey Goldie made a splash with their collaborative photographic project which was exhibited in the Govanhill baths over the summer. 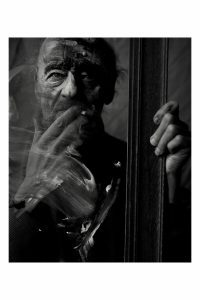 The exhibition showcased portraits and landscapes from the diverse area in Glasgows southside. As part of Lindsey’s degree at City of Glasgow College she was required to undertake 70 hours of work experience and when approached for assistance Simon suggested that she use it to gain experience in planning and curating an exhibition. The exhibition was featured in the Herald and drew over 300 visitors. 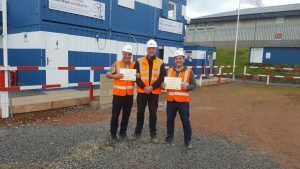 Glasgow Kelvin College have two Construction Plant “Stars of the Future” winners for the second year in a row. 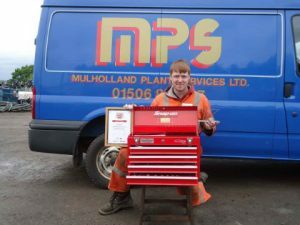 Corrie Russell of Mulholland Plant win the level 2 regional prize and Johnathan Brown of GAP Group Hire Solutions won the level 3 regional prize. 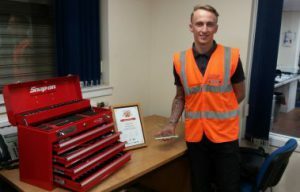 Around 750 apprentices were entered for the awards with 20 regional winners. Well done to Corrie and Jonathan. We still have a few limited places available for courses starting at the end of August. To see our Day Release and Evening courses visit – www.glasgowkelvin.ac.uk/day-release/ – includes Jewellery, Fashion and Engineering courses as well as others. If any of these courses please apply as soon as possible. That is everything for this week, but come back next Friday for more from GKC. 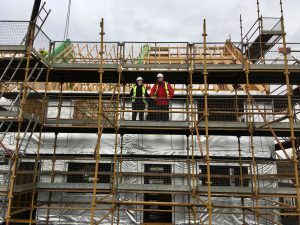 Glasgow’s three colleges are blazing a trail in the delivery of the new Foundation Apprenticeship frameworks created by Skills Development Scotland (SDS) and supported by the European Social Fund. 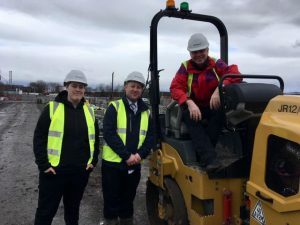 The planned programme will give young people in central Scotland the opportunity to learn practical workplace skills while they are still attending school, and build their confidence levels. Employers can then be assured that their young apprentices will be experienced and qualified in the skills they need for a strong and resilient workforce. For the first time in Glasgow, a single, regional bid was approved by SDS on behalf of the three Glasgow colleges – Glasgow Kelvin College, Glasgow Clyde College and City of Glasgow College – to develop and deliver this ambitious programme. 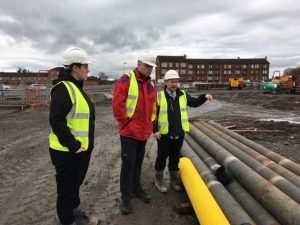 “This joint work demonstrates the existing close-collaboration between the Glasgow colleges and the potential for further development in other areas to benefit students and employers”. 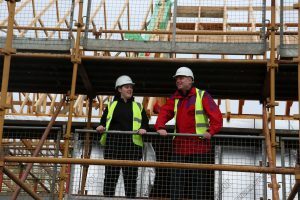 The bid, which was co-ordinated by the three colleges, will ensure that the new frameworks are delivered consistently across Glasgow, East Dunbartonshire and East Renfrewshire local authority areas. 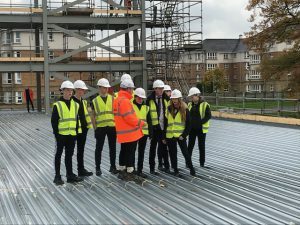 This initiative will give school pupils in S5 the opportunity to gain apprenticeships in Civil Engineering; Engineering; Financial Services; Care and Young People and IT delivered by the Glasgow colleges. It offers young people the opportunity to begin an apprenticeship-based learning journey whilst still at school, running alongside their S5 subject choices. Ultimately, the programme will be a launchpad for young people to achieve their career goals and, with the valued input of local employers, will help to create a skilled and qualified workforce for the future. The programme will be launched officially in the late spring of 2016. Working closely with schools, local authorities and employers, the colleges have designed a framework and outcomes which will be ready for young people starting in August of this year.